Are children at risk of periodontal problems? How do I know if I have a problem with my gums? Periodontal care at Princeton Prosthodontics near New Jersey is all about early intervention. Gum (periodontal) disease is the main cause of tooth loss in the United States, but many patients can avoid severe gum disease by taking good care of their teeth and gums and by entrusting their periodontal care to Dr. Cortese and the Princeton Prosthodontics team. Dr. Cortese invites you to learn more about gum disease and periodontal treatment at Princeton Prosthodontics. Gingivitis is the earliest form of gum disease, and some signs that a patient has gingivitis are gums that are swollen and gums that bleed during flossing and brushing. With periodontal care at Princeton Prosthodontics, Dr. Cortese can quickly treat gingivitis before it progresses into a more serious form of gum disease. Early interception of gingivitis and gum disease is just another reason that Dr. Cortese impresses the importance of two office visits a year to his Princeton Prosthodontics patients in the Mercerville area. Dr. Cortese takes the time to teach each of his patients how to care for their gums at home by showing them the correct way to floss and brush. A strong dental hygiene routine combined with twice-yearly visits to Princeton Prosthodontics for gum care and an oral examination is the key to maintaining good periodontal health. 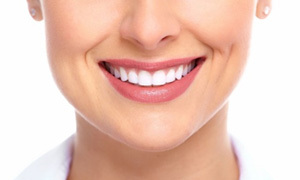 Periodontal care refers to keeping the gums healthy and free of disease or other problems. Much of periodontal care depends on at-home habits, like brushing and flossing the gums. Dentists and periodontists offer treatments like deep cleanings, scaling and root planing to address gum problems (and possibly topical antibiotic treatment). Research has found a link between periodontal disease and the risk of cardiovascular disease. Both are chronic inflammatory diseases, which may account for the connection. Leaving periodontal disease untreated can increase inflammation and possibly lead to serious health problems, including heart disease, respiratory infections, stroke and cancer. 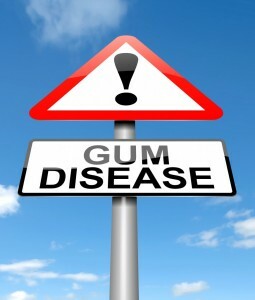 Gum disease is largely attributed to poor oral hygiene and the accumulation of plaque and bacteria. Other factors that can cause and accelerate gum disease include smoking, stress, certain medications, poor nutrition and health conditions like diabetes. Children rarely develop periodontal disease, but it is important to instill good habits early on to prevent future problems. Teaching your child to brush twice a day, floss properly and see the dentist twice a year increases the chance that these will turn into lifetime habits. If there is a problem with your gums, they may appear red, swollen, recessed, bleeding or tender. You might also notice that you have chronic bad breath, toothaches, loose teeth or tooth loss. Contact Dr. Cortese to schedule an examination as soon as possible. The earlier these problems are detected, the better the chances of successful treatment. Dr. Cortese continually impresses upon his patients the importance of periodontal exams and treatment at Princeton Prosthodontics. If you require periodontal care in the Mercerville area, the team at Princeton Prosthodontics can help. Contact us today to schedule a periodontal consultation with Dr. Cortese.